I am a Doctoral Researcher in the Information Security Group at University College London, advised by Prof. George Danezis and Dr. Emiliano De Cristofaro. My research focuses on Machine Learning Robustness, Blockchains and Privacy, while I have also pursued projects on Trusted Hardware, Privacy-preserving Computations and Technical Market Manipulation. Currently, I am working on deep neural networks and how they can be used to launch attacks against privacy (e.g., website fingerprinting), as well as potential countermeasures to such practices. I am also investigating adversarial samples and the worst-case robustness of DNNs deployed in production. Besides these, I have worked on a variety of other projects (see Publications). Snappy is a fast-payment solution for slow permisionless blockchains. Myst is a high-assurance cryptographic hardware prototype which was the first trojan-resilient deployment that achieved performance similar to that of conventional hardware security modules used in production (CSAW 2018 Competition Finalist). Our study on ultrasound tracking received wide-spread attention and is considered the seminal work in this area. With Petr Svenda, we created and maintain the first open-source cryptographic library for JavaCards. For my research, I have been kindly supported by the Allan & Nesta Ferguson Charitable Trust and the UCL Public Engagement Unit. I was also honored to be in the 10-of-200 young researchers' list by the Heidelberg Laureate Forum, a recipient of the Werner Romberg Grant, as well as a finalist at the CSAW Europe 2018 Applied Research Competition. If you have any fun project ideas, feel free to drop me a line. Location, location, location: Revisiting modeling and exploitation for location-based side channel leakages. Towards Low-level Cryptographic Primitives for JavaCards. VAMS: Verifiable Auditing of Access to Confidential Data. Mavroudis V., Veale M. (Equal Contribution), PETRAS/IoTUK/IET Living in the IoT Conference, 2018. Mavroudis V., Cerulli A., Svenda P., Cvrcek D., Klinec D., Danezis G., 24th ACM Conference on Computer and Communications Security, 2017. CSAW 2018 Applied Research Competition Finalist. Mavroudis V., Mavridis I., 2nd Conference on Information Technology Applications and Administration Strategies, 2010. Mavroudis V., Mouratis S., 4th National Conference of Information Technology Educators, 2010. Correlation Analysis and Abnormal Event Detection Module. Anomaly detection based on real-time exploitation of billing systems. Anomaly detection within femtocell architectures. Crux: Privacy-preserving Statistics for Tor, Information Security Group, University College London, UK, 2015. Cassiopeia: Real-time mobile security monitoring system, Dept. of Applied Informatics, University of Macedonia, Greece, 2012. Cryptographic Hardware from Untrusted Components, RISE Annual Conference, London, UK, 14 November 2018. [Link] A touch of Evil: Cryptographic Hardware from Untrusted Components (poster), CSAW 2018, Valence, France, 9 November 2018. Cryptogame: Pirates & Guardians of the Galaxy, London, UK, 27 October 2018. [Link] High-Assurance Cryptographic Hardware from Untrusted Components. Stanford Security Seminar, Palo Alto, US, 19 April 2018. [Link] The Good, the Bad and the Ugly of the Ultrasonic Communications Ecosystem. RSA Conference 2018, San Fransisco US, 17 April 2018. [Link] A witch-hunt for trojans in our chips. London Enterprise Tech Meetup, London, UK, 12 February 2018. [Link] Cryptographic Hardware from Untrusted Components. Cryptacus Workshop, Nijmegen, Netherlands, 16-18 November 2017. [Link] Cryptographic Hardware from Untrusted Components. IMDEA Software Inst., Madrid, Spain, 28 Sept 2017. 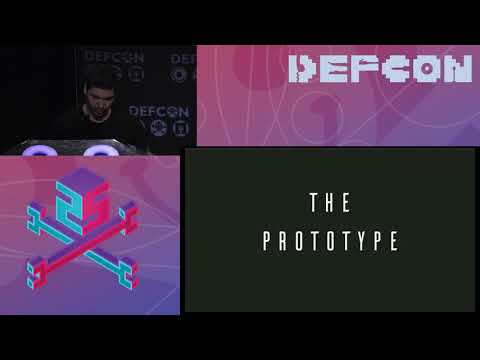 [Link] Towards Trojan-tolerant Cryptographic Hardware. ZISC Seminar ETH, Zurich, Switzerland, 20 Sept 2017. [Link] OpenCrypto: Unchaining the JavaCard Ecosystem. Blackhat US, Las Vegas, US, 22-27 July 2017. [Link] Trojan-tolerant Hardware & Supply Chain Security in Practice. Defcon 25, Las Vegas, US, 27-30 July 2017. 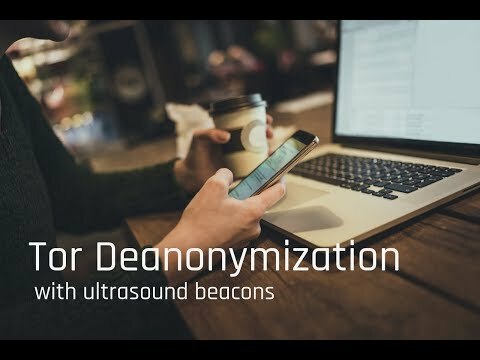 [Link] On the Privacy & Security of the Ultrasound Tracking Ecosystem. Computer Laboratory Security Seminar, Cambridge, UK, 21 February 2017. [Link] Talking Behind Your Back: On the Privacy & Security of the Ultrasound Tracking Ecosystem. 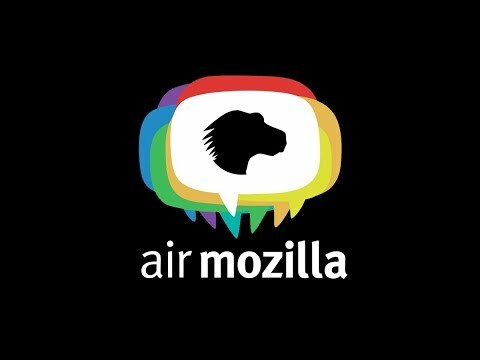 Mozilla International Privacy Day, London, UK, 28 Jan 2017. [Link] Talking Behind Your Back: On the Privacy & Security of the Ultrasound Ecosystem. Information Security Seminar, UCL, London, UK, 19 January 2017. [Link] Talking Behind Your Back: Tough Love for the Ugly Ultrasound Tracking Ecosystem. Chaos Communication Congress, Hamburg, Germany, 27-30 Dec. 2016. [Link] Cross-device Tracking Canaries. Data Transparency Lab Conference 2016, New York, US, 17-19 Nov 2017. 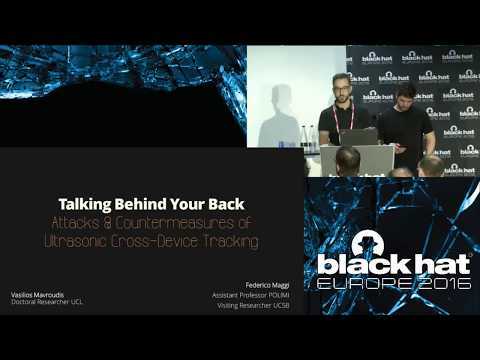 [Link] Talking Behind Your Back: Attacks and Countermeasures of Ultrasonic Cross-device Tracking. Blackhat Europe, London, UK, 3–4 November 2016. [Link][Slides] Cassiopeia: Mobile security monitoring. FOSS conference 2011, Greece. Publications co-chair for the Privacy Enhancing Technologies symposium 2019. Co-organizing the Hacking Seminars at UCL (September 2017-present). Organizing the Information Security Seminars at UCL (January 2017-present). External Reviewer for Privacy Enhancing Technologies Symposium (April 2017-present). Teaching Assistant for Computer Security I module, Information Security MSc (Winter term 2017-2018). Guest Lecture on Acedemic Research, In2ScienceUK Organization (August 2017). Teaching Assistant for Computer Security II module, Information Security MSc (Spring term 2016-2017).